Reshape your body in just 6 week with Slim in 6. With nearly a decade of success, Slim in 6 has sold over 1.5 million copies! And now, Debbie Siebers has released a new, updated Slim in 6 fitness program. Newly shot workouts in HD! Slim in 6 is a structured 6-week full body slimming and toning program for everyone! If you have weight loss goals then listen up – Slim in 6 is designed for weight loss (lose up to 25 pounds in 6 weeks). 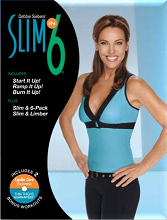 If you need to get in shape for an upcoming event, Slim in 6 is the perfect workout! It’s low impact and includes 3 diet plan options. 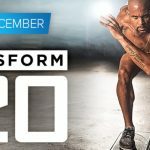 Progressively difficult workouts with easy to follow moves makes Slim in 6 perfect for people who are just starting out with exercise too! Debbie Siebers’ fitness program is also great for people who want to do P90X or Insanity but are not quite ready. Slim in 6 can get you prepared for more intense fitness programs. Why Does Slim in 6 Work? Research suggests that high levels of lactate cause your body to produce more fat burning hormones. Slim in 6 workouts are designed to shrink your body without the bulk. You get slight muscle growth, offset by your body’s loss of fat. The result? A slimmer , fitter YOU. Buy Shakeology and Slim in 6 together and get 25% off Slim in 6!